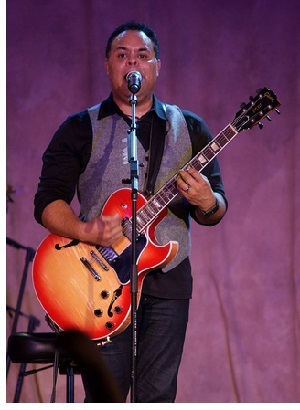 Israel Houghton claims honesty in the church is rejected and for years he felt the need to wear a mask because of his position. However, according to the singer, those days are over. As he prepares for the release of his newest single, “Reckless Love” he comes out of hiding to walk in authenticity. Houghton has been on stages around the globe for many years, leading people all over the world in worship. He has done some fantastic things for God, but he is just a man, as flawed as the rest of humanity. The songwriter confessed to being the reason his marriage of 20 years was dissolved. While his actions cannot be condoned, instead of praying for him and his family, many Christians chose to shun him. The risk of being honest can lead to people ostracizing you. It’s easier to cling to the persona, the stage, the reputation that people want to see. But in my weakness, my God is strong. When I was reckless, His reckless love chased me down and brought the healing that I never experienced. It’s torment to look in the mirror and not recognize the man in the reflection. How amazing would it be to love someone through their honest and ugly moments?! It takes a journey to work off the mask to become authentic and whole. Honesty is the door to finding a love that brings an identity found only in Christ. One of the major challenges Christians face is the balance of grace and truth. The truth is all “fall short” but the good news is, God’s grace is sufficient. God has promised to be strength to those that are weak. Instead of embracing this reality, fellow believers are sentenced to a season of shame and frustration. Christians are not only weak physically; they are still human. Humanity should relish in the gift of grace, not suffer in condemnation. In this new season, Houghton has embraced this truth and come out of hiding. When Jesus accused religious leaders of being hypocrites, he was basically accusing them putting on a show for the sake of their audience, while in their hearts they were someone completely different. Their piety was a performance, not a genuine action. Modern-day Christians tend to throw the same word around with no restraint. As opposed to a clear case of intentional deception, hypocrite is a label “self-righteous” saints apply to anyone who visibly fails to live up his or her own values. This theory is the “doctrine” that held the “Reckless Love” singer hostage for most of his Christian walk. However, the blinders have been removed and Houghton is coming out of hiding to walk in freedom. He is free to miss the mark and still embrace the love of God. As Houghton comes out of hiding, he hopes his new stance of liberty will give others the freedom to embrace grace on this human journey called life. 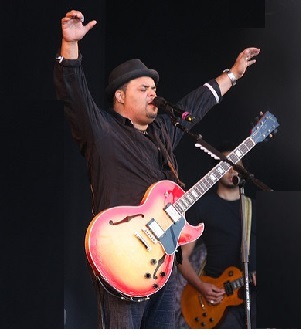 Premiere: Israel Houghton: Is anyone good? One Response to "Israel Houghton Comes Out of Hiding"
Deleting browsing history so easy there some more feature by which you can also manage your browsing history or can also delete you history automatically and permanently.